1, Can you tell readers a bit about yourself? 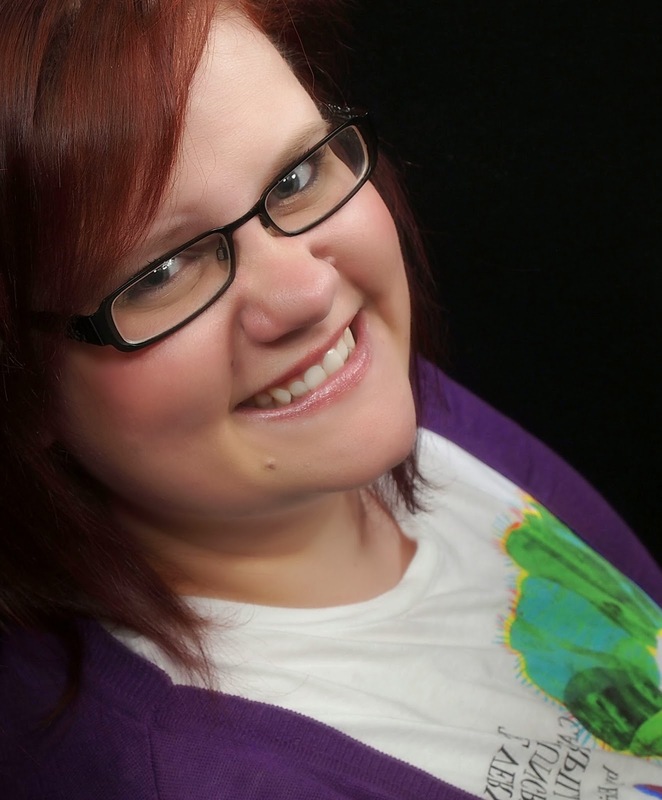 I'm an Australian young adult fiction author who is somewhat obsessed with pop culture and paranormal phenomena. I love writing about teens being awkward, testing the waters, making mistakes and learning from them - because that's what teenagehood is all about, isn't it? 2, How do you go from writing "sassy to scary?" 3, Which of your books has been the most challenging to write? My zombie novel, Dark Zones. It hasn't been released yet. I'm about 80% through it, and I've been working on it for over two years, now. I think it's a great premise, people I brainstorm with think it's a great premise, but for some reason that last 20% is alluding me. 4, What has your writing journey been like? Why did you decide to take the Indie route? I got good at receiving rejections and revise and resubmit requests from publishers through my agent a couple of years ago, but I had a book that I was really passionate about - The Kiss Off - that my then agent didn't think they could sell, so when the self-publishing boom started three years ago and it became clear that independent authors could legitimately make an income from their writing on a scale that simply hadn't been possible prior to ebooks, I changed tactics. I was studying a Bachelor of Writing & Publishing at the time and we had to do a research project on a form of digital publishing. It was like the stars aligned for me. So I decided to publish some short stories as my project, and the rest is history! 5, If you could have lunch with any three authors who would you choose and why? 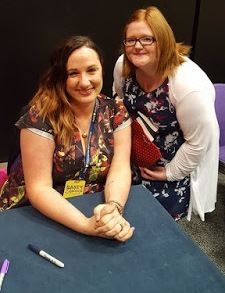 I grew up reading John Marsden and Tamora Pierce and they are heroes of mine, they truly inspired me and I would become a complete fangirl around them. I'd love to have lunch with them. And in later years, Louise Rennison inspired me to embrace my funny. I think her books are hysterical and completely insane and I would love to meet the woman behind them. 6, What's next for you? The Kiss Off 3: All Access Pass! And Dark Zones. 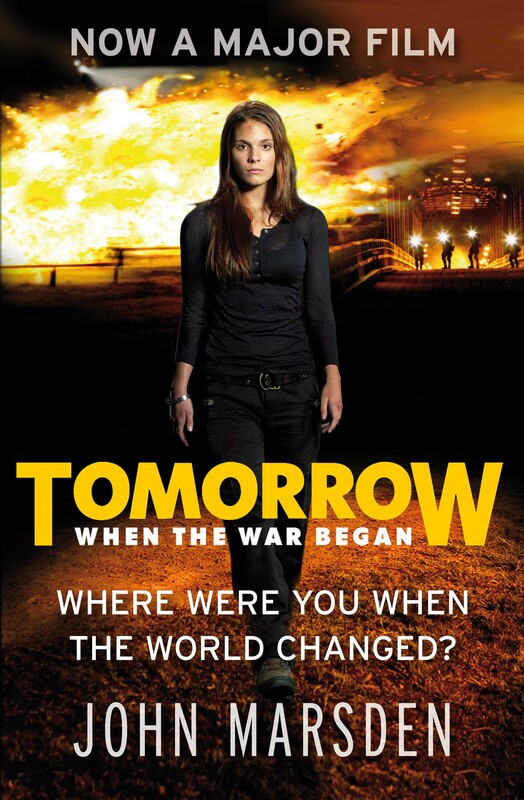 And a sci-fi and a thriller that are still just in the ideas phases, but have been for a couple of years. 7, What do you think is the best and worst thing about being indie? The best thing is that you have control over your own career, you can release books on your own schedule, be it fast or slow. The worst things about being an indie is that without deadlines and someone waiting on my manuscripts I don't work as fast as I wish I did. And the lack of a marketing and publicity team to field queries and requests, and source promotional opportunities is a downside, as well, instead I have to do all of that myself. 8, In 140 characters or less why should we read your books? The characters in my books feel real, readers say they're like people you know, they're like your best friends; ordinary people in extraordinary situations and you're along for the ride. 9, Do you have any advice for aspiring authors? Go out and meet other writers and people who share your passions and excitement for books and stories. It's so important to me having people around me who get it, and are just as excited as I am about telling good stories. 10, Is there anything you'd like to say to readers? If you've read The Kiss Off or book two, Over It, thanks for taking a chance on these books. I hope you had fun, were entertained and laughed a bit. I appreciate your support. If romantic comedies with super-famous lead singer boyfriends doesn't sound like it's for you, that's cool, I hope you find books you DO love - and tell me what they are so I can read them too! Place: Home, wherever that is. I move a lot, but when I'm there, there's no place like it. Check out the following books by Sarah Billington: Click on the cover for more info! Have you read any of the authors books? What's your favourite dessert? 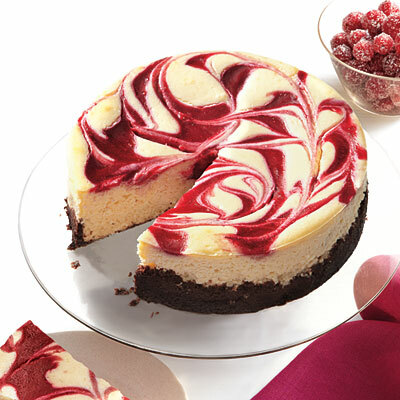 Is it cheesecake or something different? 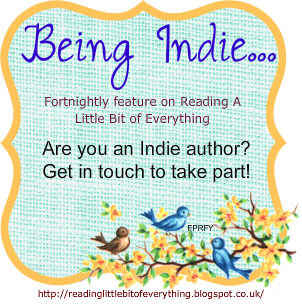 What do you think of the Being Indie feature?